Rome’s historic center is just waiting to be uncovered, and we’ll take you there to see its most iconic sights on this enchanting stroll. Our Rome walking tours bring you to the forefront of the Eternal City with an insider’s look at the Spanish Steps, Trevi Fountain, Piazza Navona, the Pantheon and more. With a passionate expert by your side, you’ll also hear the stories and anecdotes that make some of the world’s most beautiful places come to life. Often referred to as an outdoor museum, the streets of Rome are home to some of the city’s finest art. Discover the meaning behind the name of the Spanish Steps, see the monumental Trevi Fountain, and walk the length of Piazza Navona, crowned by Bernini’s impressive Fountain of the Four Rivers. Then it’s on to the Pantheon to see what was once the world’s largest dome, a sight whose majesty deserves every sigh of wonderment. 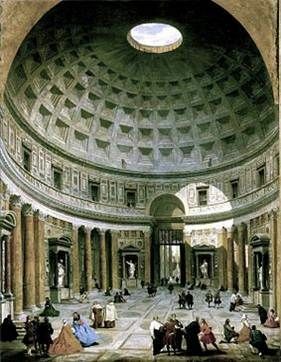 You’ll also learn the secrets of the painter Raphael’s death when you visit his grave inside this fantastic structure. In just 3 hours we’ll turn over every stone in Rome’s compact historic center, visiting the top monuments, as well as some of the lesser-known corners with amazing stories of their own to tell, so you get a complete portrait of the many facets of this ancient city. Our guides are experts in their fields, trained art historians and passionate about showing you more than what the guidebooks say, so you’ll learn the popular legends that every nook and cranny conceals. 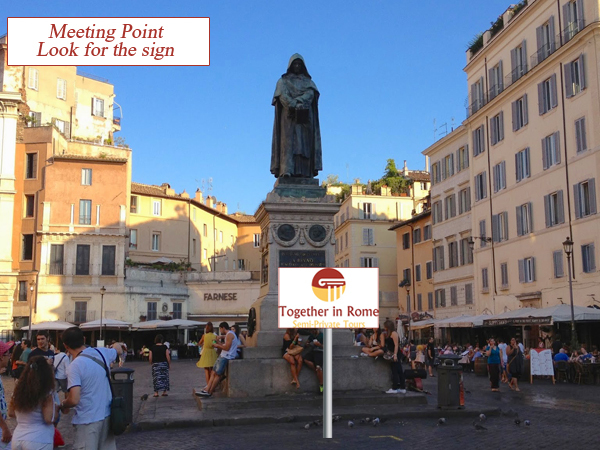 Limited group sizes and headsets on all group tours means your guide will be easy to interact with and difficult to lose – so you can relax and enjoy your walking tour of Rome. This tour is also the perfect way to orient yourself in Rome, where every monument also functions as a landmark. This will come in handy for further exploration or getting to your next tour. We’ll even stop for a gelato along the way (included in the price of the tour) so you can take a few minutes to soak up the mood of the city through one of its most relished pastimes. 35,00 € Reduced tickets for teens 6-17 y.o. FREE Infant 0 – 5 y.o.